I am very impressed with Success@Arithmetic. The children have made accelerated progress, grown in confidence and enjoyed their lessons. Success@Arithmetic is a light touch calculation-based intervention for learners in Key Stage 2 and Key Stage 3 who have difficulties with arithmetic proficiency and need support to improve their understanding of number and written calculation skills. It helps them to make faster progress and to catch up with their peers through a mastery approach. provides detailed evidence of progress and impact. For pupils in Years 3 to 5 who need support to understand the number system and develop fluency with number facts. For pupils in Years 5 to 8 who need support to understand and develop fluency with formal written methods. Success@Arithmetic trains a lead teacher and one or two teaching assistants together. The lead teacher conducts a diagnostic assessment and selects a series of Success@Arithmetic steps to form a tailored programme of up to 24 sessions, adapted from detailed plans that the teaching assistant delivers to an intervention group of up to three pupils. The sessions use number rods, bar modelling and written methods to build a complete mathematical picture, developing pupils’ arithmetical fluency. Over 13,000 pupils in Years 3 to 11 have been supported by Success@Arithmetic in 2,000 schools. They made an average Number Age gain of 14.5 months in 4 months – over 3 times the expected progress. 91% of them showed more confidence and interest in learning mathematics in class after Success@Arithmetic. The use of base-10 alongside the standard written method for subtraction is nothing short of inspirational. Delivered locally by an accredited ECC Trainer. 2½ days for the lead teacher and the teaching assistant. A strong focus on mathematical subject knowledge. Promotes partnership between teachers and teaching assistants to raise achievement. An optional school visit by the Trainer. Interactive and easily adaptable session plans. Extensive resources including number rods. Online guidance and downloadable resources. See an example Step plan from a Success@Arithmetic: Number Sense Topic here. See an example Step plan from a Success@Arithmetic: Calculation Topic here. Each local provider determines their own charges to schools depending on local circumstances. The charge for 2018/19 for one lead teacher and one teaching assistant will be in the region of £990. Further charges will apply if a second teaching assistant is trained at the same time. 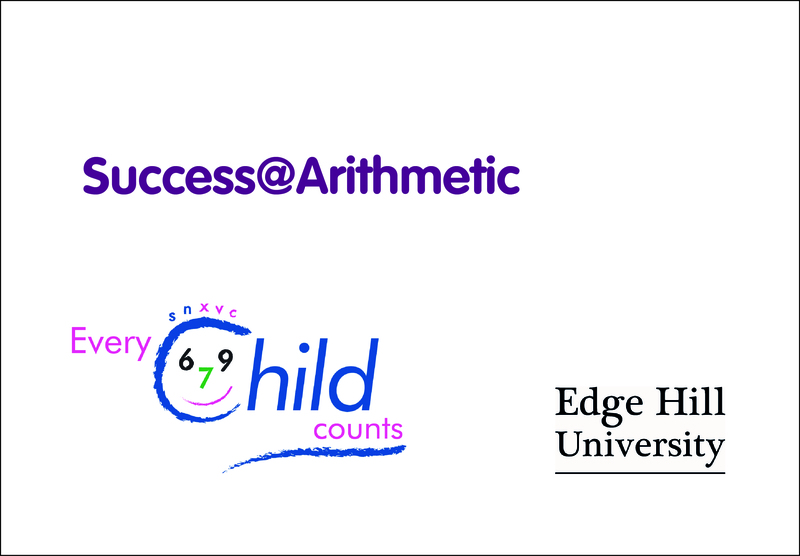 Schools can access the Success@Arithmetic programmes from local ECC providers. Find your local provider here. How can schools prepare for and manage Success@Arithmetic? Download guidance on preparing for Success@Arithmetic before your staff start the training. Download a flyer about Success@Arithmetic.